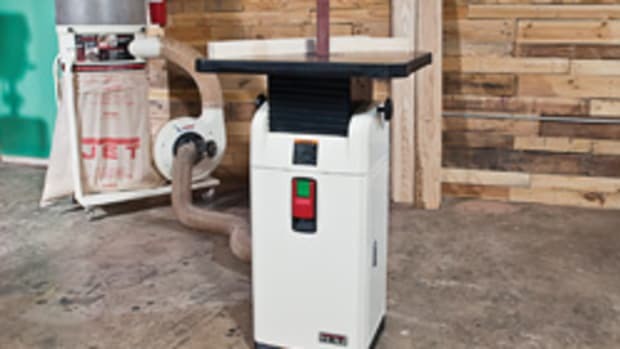 Jet added features to its variable-frequency drive wood lathe, model 719500, to make it easier to use and more robust, according to the company. The redesigned lathe also features a headstock that pivots a full 360 degrees. “The 360-degree pivoting headstock is not unique with our Jet lathes, but it’s a great alternative to not being able to easily make the desired cuts. It increases the access that the user has to their piece,” Davidson says. 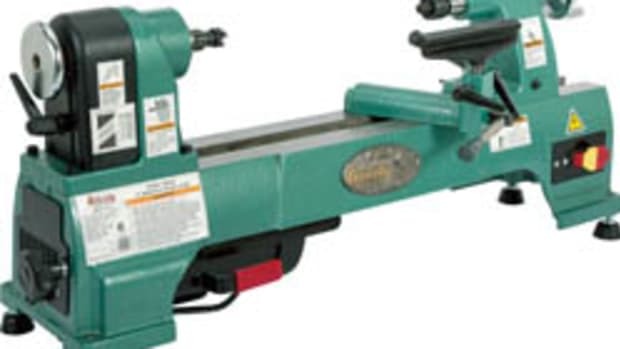 The lathe’s 1-1/2-hp motor offers a speed range of 40 to 3,200 rpm, according to the company. 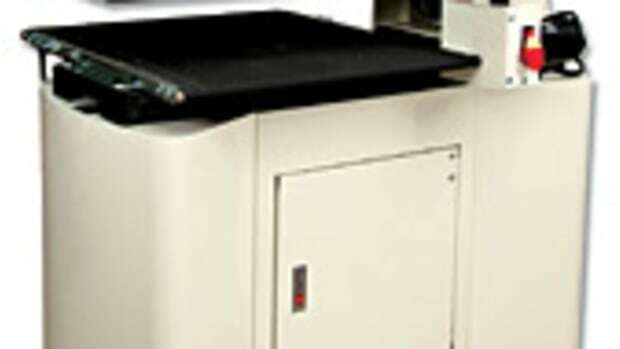 A variable frequency drive makes it possible to run the three-phase motor with common 115-volt household current. A digital speed display is conveniently located on the front of the headstock. Jet has simplified the lathe’s integrated indexing system to quickly perform functions like fluting and veining. Acme threads were added to the tailstock to improve quill engagement. 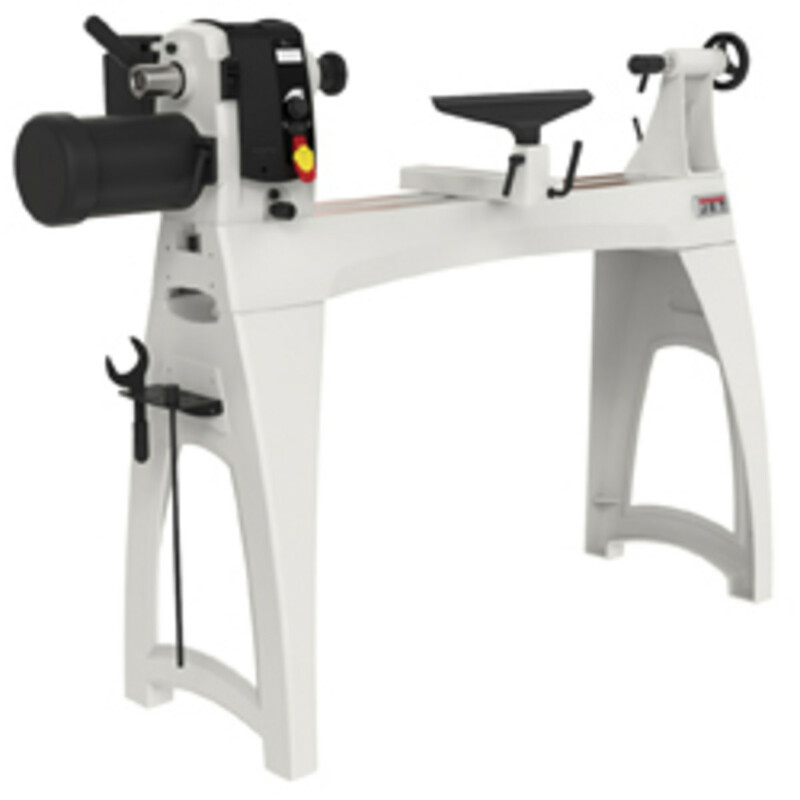 Additionally, the new extended spindle nose houses dual bearings, which are important for maintaining the alignment of the spindle, handling the load on the lathe, and increasing the lifespan of the bearings, according to Jet. 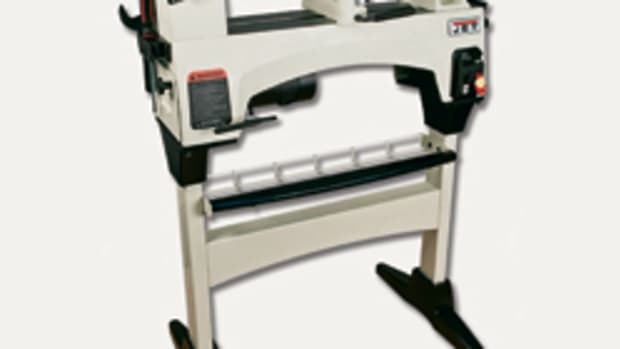 The tool rest clamping mechanism has been updated with a wedge system that securely engages the tool rest post and the top of the headstock features a rubber mat. 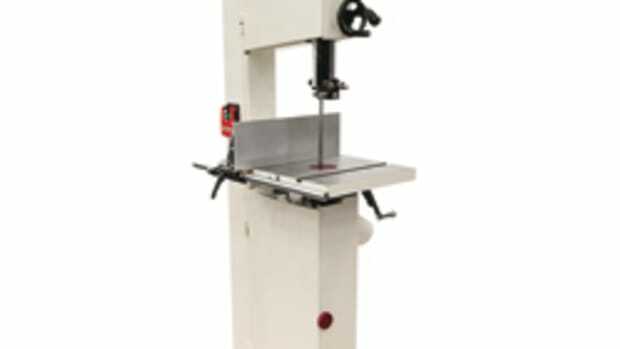 Several optional accessories are available, including the tailstock “swing away,” a 20” bed extension with post and a lathe guard. 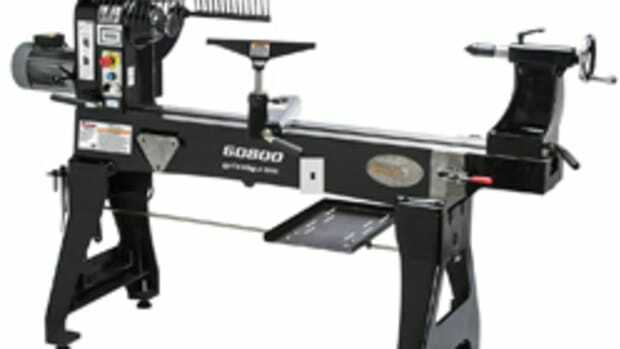 “With the swing away, they don’t have to remove the tailstock from the bed and move it to the floor or a bench. 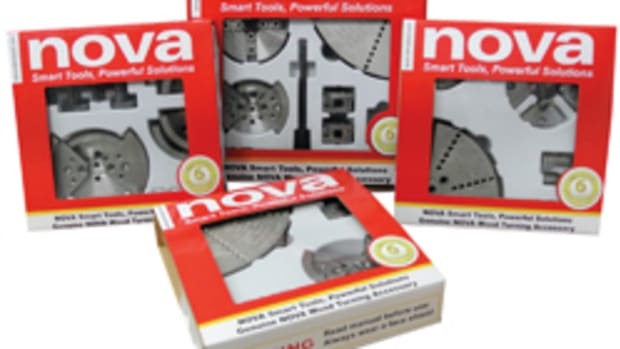 It’s an accessory that just makes moving the tailstock easier. Also, it won’t interfere with a bed extension that is mounted in the lower position,” Davidson adds. Jet’s model 719500, sells for about $2,500. 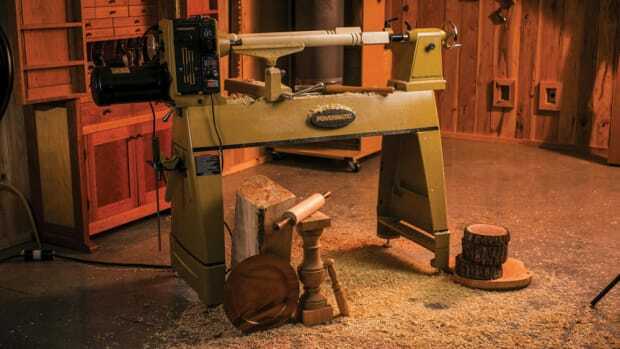 The new Powermatic 3520C wood lathe, model 1353001, has the design characteristics of its predecessor, the 3520B.